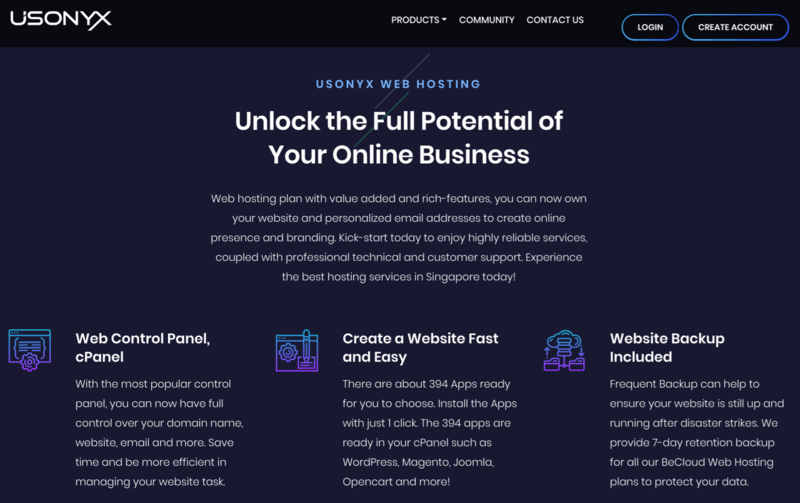 Usonyx Review 2019: Is Usonyx a Good Hosting? Usonyx is a self-proclaimed “leading SME-dedicated web hosting service provider” based in Singapore. The company was founded in 1997 with the aim of providing the best web hosting services to SMEs, corporates and the government sector. Founded in 1997, Usonyx claims to have been the first hosting provider to introduce VPS and dedicated server solutions in Asia. It offers web hosting solutions to corporates, the government sector, and (mainly) SMEs in Singapore, and it uses data centers in Singapore, China, Japan, Australia, South Korea, Malaysia, and Thailand. The Usonyx website is in English. Usonyx’s East Asian and Australian data centers are equipped with state-of-the-art infrastructure, enhanced security, and power backups. Usonyx claims to be the first company in Asia to deploy a combination of SWsoft’s HSP Complete hosting automation solution and Virtuozzo Linux server virtualization that enables it to manage thousands of customers from one central console. It performs frequent website backups so that your website can be restored if disaster strikes; and these backups are retained for seven days on all hosting plans. 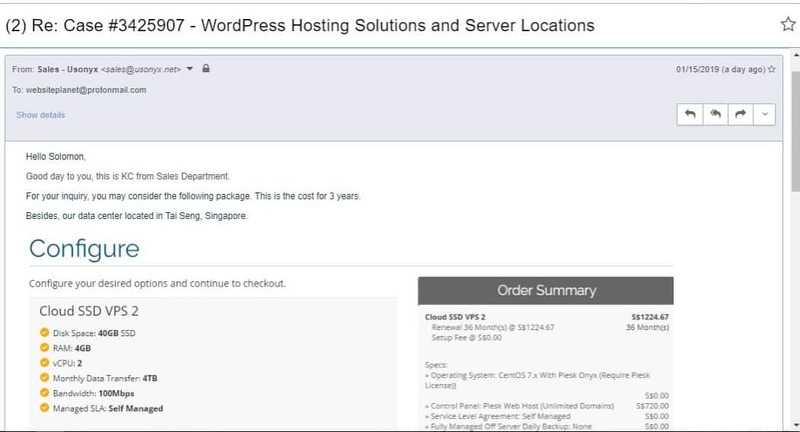 This Singapore-based hosting business offers SSL certificates that come with quite advanced features such as address bar padlock, proven domain ownership, organization identity information, and EV-certificate green address bar. Usonyx’s hosting plans are reasonably priced for the somewhat advanced features. It offers two billing subscription cycles: monthly and annual. There is no refund policy, but the 99% uptime guarantee is backed by a compensation plan. You can contact Usonyx’s award-winning 24/7/365 support team via telephone, ticket system, email or live chat. Singaporean customers can even visit the Usonyx offices during business hours on Mondays through Fridays. Usonyx provides a comprehensive “support solutions” knowledge base with very insightful articles and tutorials. In addition, it provides a reasonably detailed FAQ section at the end of each hosting product page. If you are looking for VPS or dedicated servers, Usonyx seems to have the necessary expertise and infrastructure to deliver excellent solutions. With data centers in multiple locations across the Asian continent, this vendor all but guarantees high availability and performance for all the websites it hosts. Wondering how Usonyx stacks up against other Web Hosting companies? Enter any other Web Hosting company and we will give you a side-by-side comparison.